Here’s a list of the top 10 the best-educated neighborhoods in Washington state. #1. Montlake/Madison Park – 38.4% of adults hold advanced degrees and 75.9% of adults have bachelors degrees. #2. University District/Laurelhurst – 35.1% of adults have advanced degrees with 73% of adults carrying bachelors degrees. #3. Mercer Island – 34.7% of adults have advanced degrees with 75.7% of adults holding bachelors degrees. #4. 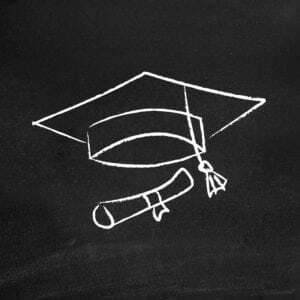 Ravenna/Wedgewood – 34.1% of adults carry advanced degrees and 71.2% of adults carry bachelors degrees. #5. Pullman – 33.6% of adults carry advanced degrees and 65.9% of adults hold bachelors degrees. #6. Medina – 31.2% of adults carry advanced degrees and 80.3% of adults have bachelors degrees. #7. North Queen Anne/Interbay – 30.2% of adults hold advanced degrees and 68.9% of adults carry bachelors degrees. #8. Bainbridge Island – 30% of adults carry advanced degrees and 65.8% of adults hold bachelors degrees. #9. Sammamish – 29% of adults carry advanced degrees and 72.1% of adults hold bachelors degrees. #10. Fremont/Wallingford – 28.5% of adults have advanced degrees and 71% of adults have bachelors degrees. One interesting thing to note is that Medina has the highest median home price at over $1 million. Other neighborhoods that made the list include Redmond, Several Bellevue neighborhoods, Spokane, Whidbey Island and Vashon Island. For information on any of these neighborhoods, homes and real estate therein please contact Mary Pong.